A signed Newcastle United shirt is among the items up for grabs at a charity event. The strip is the top prize at a summer fair being held in St Paul’s Church, Whitley Bay, on Saturday, May 16, in aid of the Cystic Fibrosis Trust. The owners of Crusoe’s restaurant on Tynemouth Long Sands have also donated two meals for two. There will also be cake stalls, ice cream, hot dogs, nail art, tombola, games, bric-a-brac stand, books, CDs, DVDs, computer games and more. Entry is £1, including a drink, for the event from 11am to 1pm. 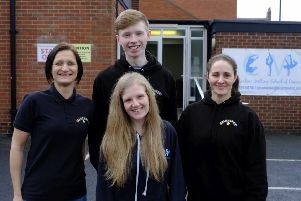 Organiser Rob Stewart said: “The Cystic Fibrosis Trust relies on public support and luckily the people of North Tyneside have always wholeheartedly backed our summer fairs down the years. Cystic fibrosis is a life-limiting genetic disease that affects the lungs and digestive system and the charity aims to find a cure for a condition that affects 40,000 people across England. For further details about the summer fair contact the organisers on 077867 05771.